We think that teaching kids to cook is one of the most valuable things you can do. These are skills they will use for a lifetime. But it does take some time, and some lessons will have to be repeated. Stick with it, and your kids will gain a valuable new skill. The first rule is about Food Safety. Basic rules include: keep your hands clean, wash them often in soapy water, don't lick your fingers while preparing food, separate raw and cooked foods, and cook food to the proper temperature. Be careful about cross-contamination. Don't put cooked foods on platters that held uncooked food. Wash utensils after you use them, and keep uncooked foods away from foods that will not be cooked. Tie back your hair, make sure you don't have any loose clothing or dangling jewelry. Wear shoes in the kitchen. If you cook barefoot, you risk getting burned with hot mixtures or cut with knives or forks. Always begin by reading the recipe through completely; be sure you understand the instructions. Gather all your ingredients, utensils, and pans that you need before you start. Hot mixtures can burn quickly. Use hot pads when removing food from the oven or microwave, and never lick or handle hot food. If you hurt yourself, tell an adult immediately. And have a well-stocked first aid kit in the kitchen at all times. Be careful with knives. Kitchen knives should be sharp, which work best. Learn how to work with knives and practice before you start cooking. Don't put knives into the soapy water because someone could reach in and get cut. In the dishwasher, place knives point side down. If a fire starts, call an adult immediately. NEVER put water on a fire. If the fire is small, throw baking soda on it to smother the flames. If the fire is in a pan, ask an adult to put the lid on the pan to remove oxygen from the fire. If flames are large and leaping, call 911 and leave the house immediately. Make sure that pot handles are turned away from the front of the stovetop. If they're hanging over the front of the stove, the pot with its hot contents could be knocked onto the floor, and you. Never taste uncooked food. Unless you are using pasteurized eggs, don't lick the bowl or the mixing spoon. Remember that raw flour can contain pathogenic bacteria too, so don't taste any food with uncooked flour in it. And be careful when tasting hot food. Foods from the oven should cool for at least 10 minutes for entrees and side dishes, 30 minutes for bread, and 20 minutes for cookies. If the recipe says to cool completely before serving, follow that instruction. When you're done cooking, clean the kitchen. That means wipe up spills, place utensils and bowls in the dishwasher, clean pans, and put ingredients away. Before you leave the kitchen, make sure all appliances are turned off and are clean. Unplug mixers and food processors. Clean off the stovetop after it has cooled. And wipe down the inside of the microwave with damp paper towels. 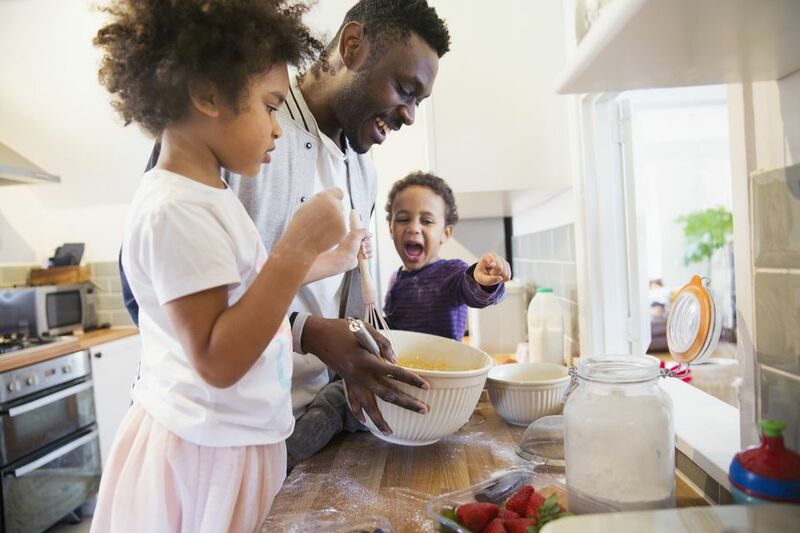 Work with your kids at first, then when you're confident they understand the rules of the kitchen, stand back and see them soar! How Does High Altitude Affect Recipes? Do You Know How to Truss a Chicken?